Wedding season is upon us! And so is the heat. And humidity. And tropical storms. 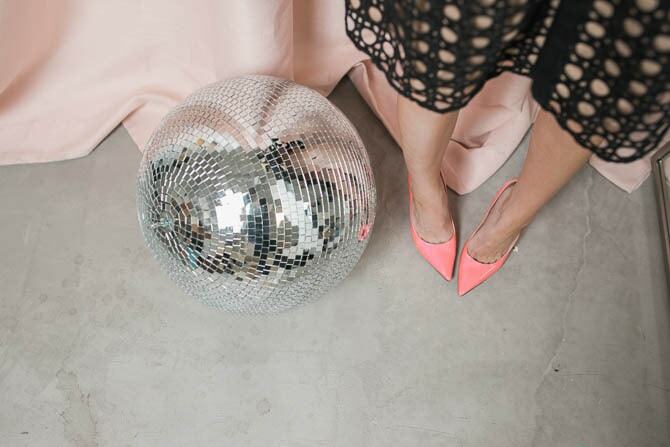 And everything else to make you look and feel not so bridal. I get lots of requests to do a tutorial for this look I wear a lot, and I wanted to share an easy to way to “summer-fy” it! With summer weddings I really don’t spend the time perfectly blowing out my hair and then curling, because whether the wedding is inside or outside with all the sweaty bodies and dancing it’s going to end up not so perfect in the end. I like to come with some texture in my hair and more “beach waves” so it can “look” like I tried to have less than perfect curls! For this look all you need is Aussie Mega Hairspray, Vidal Sassoon Heat Protectant & Shine Spray and Pantene Pro-V PowerFULL Body Booster Spray as well as a 1 inch curling iron, fine tooth comb & four bobby pins. If possible, let your hair air dry in the summer! With all the humidity, heat and chlorine this is the least you can do! This is my hair air dried. Not really curls. Waves that aren’t too smooth. This is why I’m giving the “yuck” face! haha. Oh and don’t call me out for it. I know I wear this Shop Riffraff tee ALL. THE. TIME. It’s so comfy! If you have to blow dry your hair throw in the Pantene Pro-V PowerFULL Body Booster Spray before blow drying, or I just put it in out of the shower and work through with my fingers. This allows your hair to be really easily manipulated with body and fullness, so you have versatility in your styling options, while simultaneously enhancing vibrant shine. 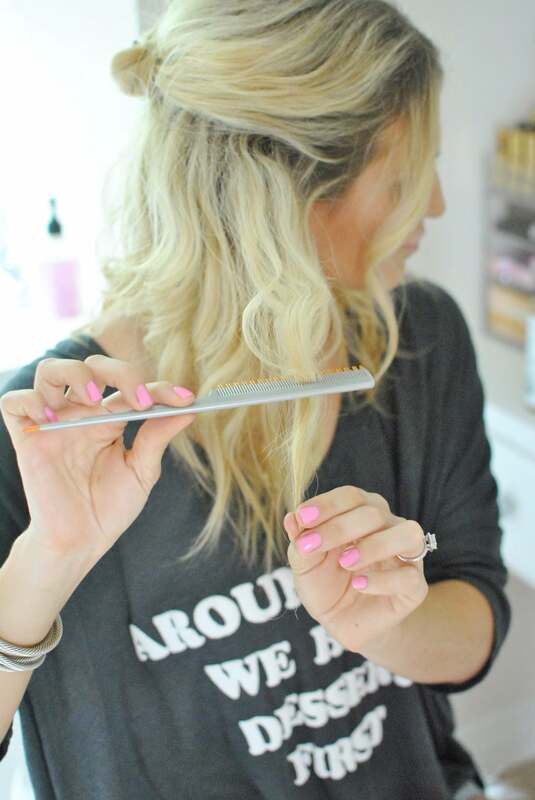 Whether you let your hair air dry or use a blow dryer, you’ll still get the texture you need for this look! Then we spray your hair’s BFF: Vidal Sassoon Heat Protectant & Shine Spray. This conditions your hair to protect it from damage but allows you to have flexible styling, too! I have an auto immune disorder [discoid lupus] so my hair is pretty fragile [hence the roots!] and heat protectant is a must in my bathroom. I can’t color my hair all the time, I really only highlight 2-3 times a year! Sometimes I get questions about the roots “growth” but I was diagnosed at 12 and so I’ve never gotten highlights every 4 weeks like most lucky blondes, so I’m always responding, “Wait! This isn’t normal? !” haha! I think a little messy blonde is nice, especially in the summer! Here is where styling gets a little different! I keep half of my hair up and only curl major sections. I also curl each section every other way. So for one section of hair I will curl normally, like in this hair tutorial. The next section I curl like I’m using a wand. 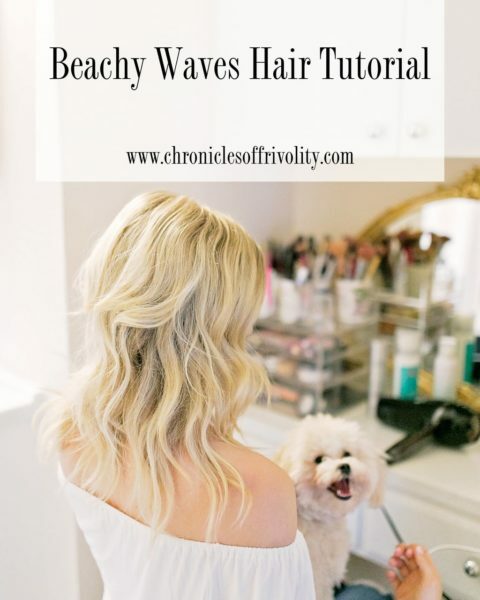 Doing this provides variation in your waves and gives you the beach hair look. Next, tease from the bottom! I do this on about 5 1/2 inch sections of hair. This gives you more volume! After I tease from the bottom I “massage” the ends. Just run a few pieces back and forth in your fingers to give you more texture. Texture is key, girlfriend. It makes your waves jive with humidity a lot better. Hello, outdoor nuptials. Now, on to this Texas girl’s favorite part: the spray. Aussie Mega Hairspray smells divine! One of my girlfriend’s swears by this and every time I hug her I can’t help but say, “Your hair smells like cake!” This hairspray gives you additional flexible hold that lets your hair adapt throughout the evening. Adaptability is another key factor in a summer wedding. If you throw your hair up you don’t want to have hair glued to your hair because if you do start sweating, it just needs to blend and be moveable. That way you get the VS Model “I woke up like this” look! Give yourself two Brigitte Bardot front pieces and then pull 1.5 inches of hair behind those front pieces back. 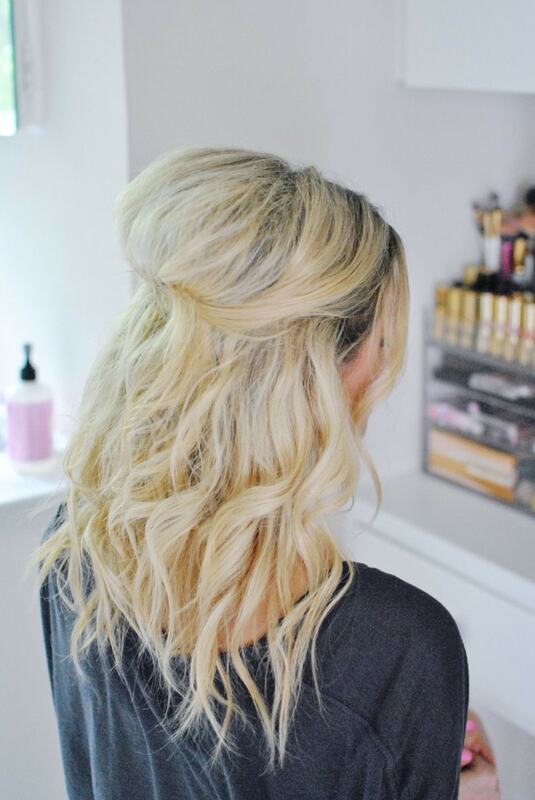 Pin with the bobby pins and you are ready to go! 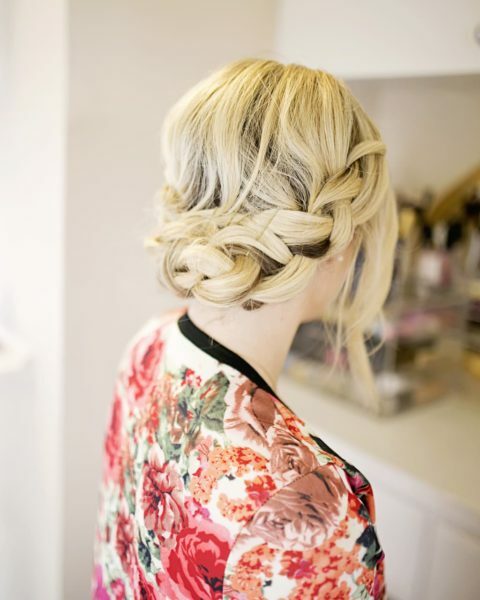 This look isn’t perfect, it’s messy with lots of texture so be sure to keep your dress flowy, too! A structured dress goes better with straight or perfect curls. I’ll attach some examples below! Let me know any other tutorials you would like to see! Can not get enough of my Aussie hairspray! I love this look but I have serious doubts it’s going to work out on my super long, super fine hair. I loved this tutorial! I prefer picture tutorials compared to videos because I can read and take everything in step by step instead of pausing and rewinding a video :-). I haven’t tried any of these products. I may reside in Boston, but I’m a volume girl as well. Between that and the bling, I’ve been told I belong in Texas.. Anywho, I need to grab the Pantene Booster Spray Gel. I haven’t ever heard of a product made to add texture! I feel like I never get the ‘messy curls’ look which this will help with. I’m also superrrrr excited to try teasing from the bottom of my hair. I’ve never heard of that! Thank so much for the tutorial! I’d love to see how you apply your eyeliner. It always looks so perfect! Let me know your e-mail so we can ship you product! I have used Austin Mega Hairspray and it is definitely a fav! Looove the sMell and the long lasting but flexible hold. I would love to try the Pantene Pro-V PowerFULL Body Booster Spray! My hair is thin and lacks natural body so this would be awesome! I want to try the Vidal Sassoon Heat Protector. I have not found one I love and that one may be it. 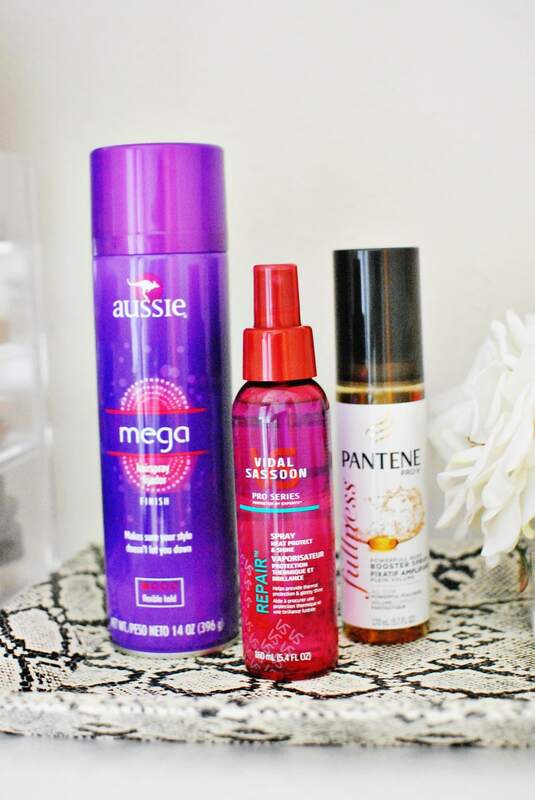 I absolutely love Aussie hairspray and I’m dying to try the other products! I have the absolute flattest hair known to mankind so I’m trying to find more/different ways to get more natural volume! Thanks for the great tutorial, girl! I will absolutely be recreating this! 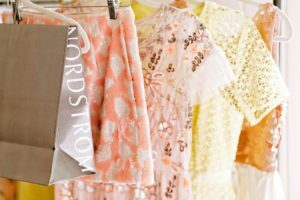 As a new mama of 2, I’m all about these easy, messy styles that still look good. I would love to try the Pantene Pro-V PowerFULL Body Booster Spray! My hair is so fine and has basically not body to it and hopefully that would help! I swear by the Aussie hairspray! I’ve used it forever. I can’t seem to keep my hair full of volume so hopefully using these three products together will help me! I love this Aussie hairspray but I’m dying to try the Pantene!!! I’m to the point where I absolutely hate blow drying my hair, mainly because this is Texas and I’m lazy. I am dying to try the heat protectant and shine spray! I am definitely going to get my hands on that heat protector spray! 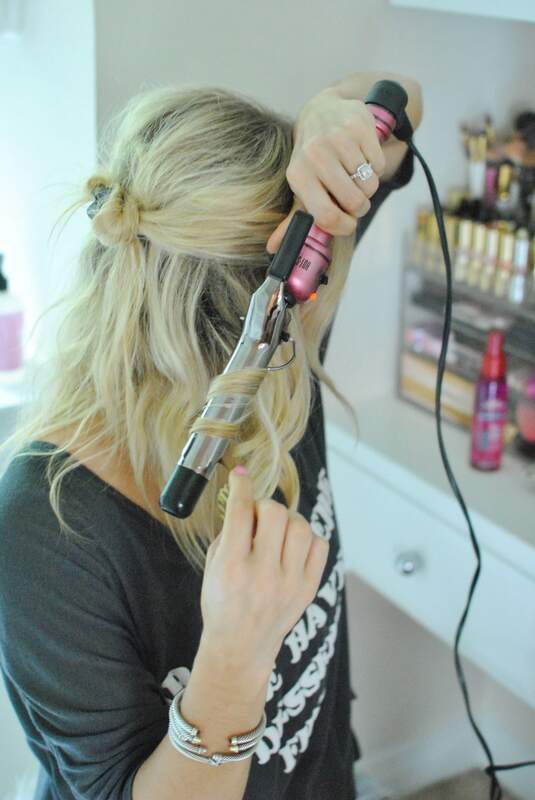 My hair is naturally wavy (and by wavy I mean half wavy half frizzy mess) so I use a curling wand a lot. Hopefully that will help condition and protect my hair better than the one I use now! I love this look! I’m getting married this Summer and I’ve also been attending many weddings (in the southern heat of course) and I’ve been in need of this tutorial. I have very similar hair and I LOVE my big hair! I love the Aussie hairspray, but I would also love to get my hands on the Vidal Sassoon Heat Protectant & Shine Spray since I’m trying to keep my hair from breaking before the big day! I love love LOVE Aussie hair spray, but I’ve never tried anything to prep my hair for the abuse I put it through, that Vidal Sassoon spray looks to DIE for! This look is adorable, & looks super quick! I love the Aussie Hairspray, but I’m definitely interested in the Pantene Pro-V PowerFULL Body Booster spray for my flat hair! I’m so happy you finally posted this hair tutorial!! I’ve been kind of obsessed with how you do your hair, and now I’m excited that I can try this look out for myself. Also sorry to hear about your auto-immune disorder, my mom has lupus and I totally understand what that entails. As for the products, I haven’t tried out any of the ones listed. However I’ve used other aussie products in the past and loved them! I’m always on the look out for a great hairspray and haven’t found one that I really love, so maybe this one will be it! Also keeping my eye on that Pantene volume spray…. I will be trying this out very soon! You always looks so flawless Katey! You are so pretty! Hi Katey! 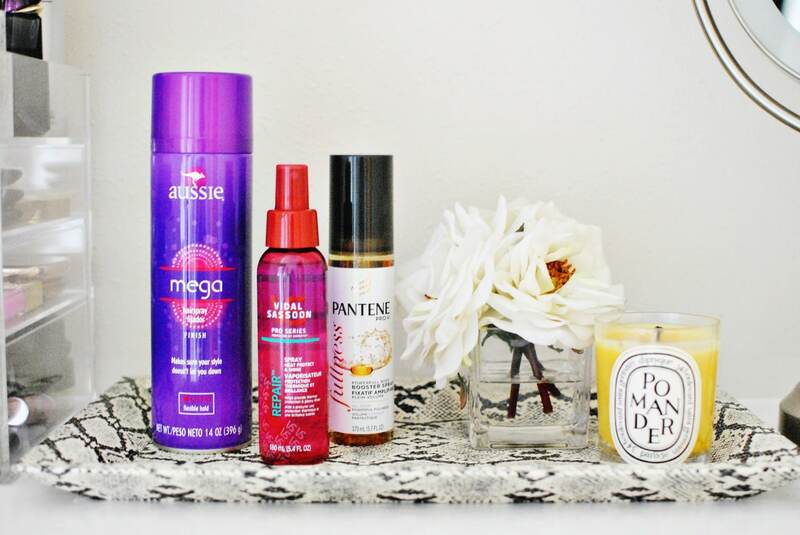 I haven’t tried any of these products, but I’d love to try the Aussie hairspray. I have super duper curly hair and have a hard time finding product I love that doesn’t make my hair heavier than it already is! Going to a wedding tomorrow and trying this out! Thanks! Would love to try that hairspray!!! I always have trouble finding one to keep my curls last through the day! I’ve never tried the heat protectant spray! I’m kind of over mine now and have been looking for a new one to try! I love this look! I am definitely going to try it out this evening for a dinner party we are hosting! And any hair spray that’s both awesome and smells like cake I need to own – Aussie Mega Hairspray here I come! Thanks for such a fun & pretty tutorial! Would love to try all three products. I love your hair and your beauty. Inside and out. I haven’t tried any of these products but I’ve always wanted to try the Aussie products, I hear nothing but good things! I have the worst time finding hairspray that is multifaceted- firm hold yet bouncy and also gives great volume! This Aussie mega hold is one I need to try! 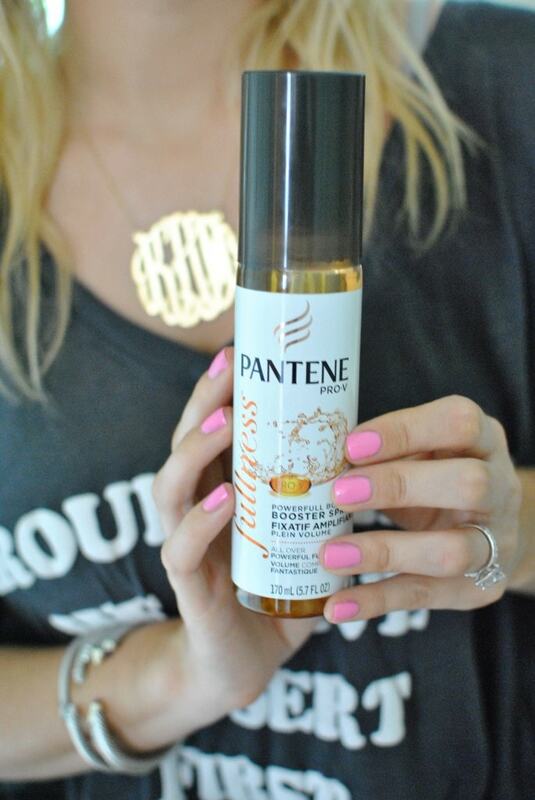 I am dying to try the Pantene Body Booster! I started using the Pantene Smooth blow dry crème from another post you did and LOVE it! I’m OBSESSED with that Aussie hair spray! Most thicker products like gel and mousse make my hair greasy, so I’m always looking for volumizers that I can spray! Can’t wait to get my hands on that Panteen stuff! I love the Vidal Sassoon Heat Protect & Shine Spray. I have tried to many and I feel like they leave my hair greasy and frumpy. I have 8 weddings in the next 4 months (It’s definitely that time of the year), Can’t wait to try these products and this look!